I heard about this recipe many years ago but have never tried it. Today I harvested all the chicory in the garden, cleaned it and put it in the pot straight away. 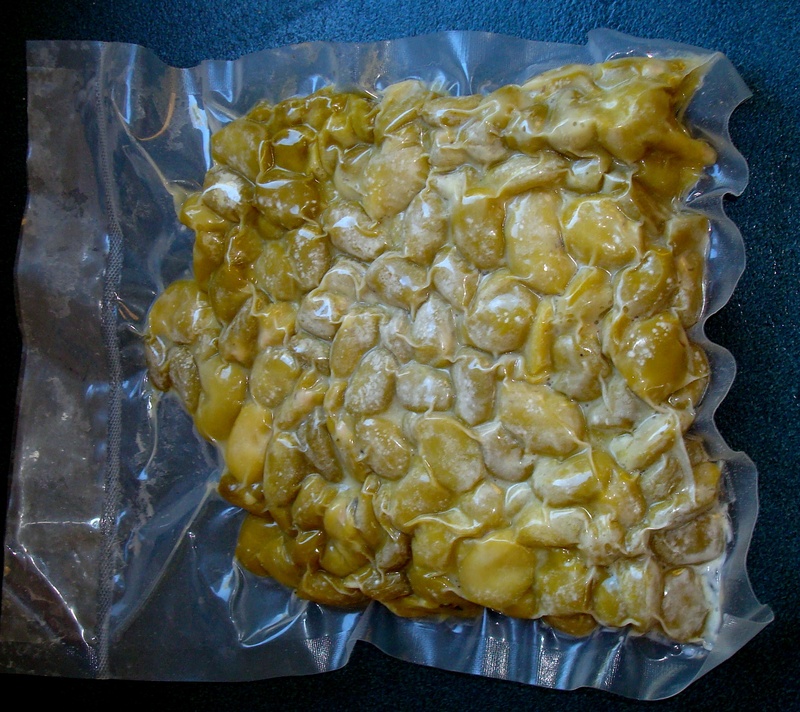 I used some of the broadbeans that I had vacuum sealed and preserved during the summer. The result was delicious! 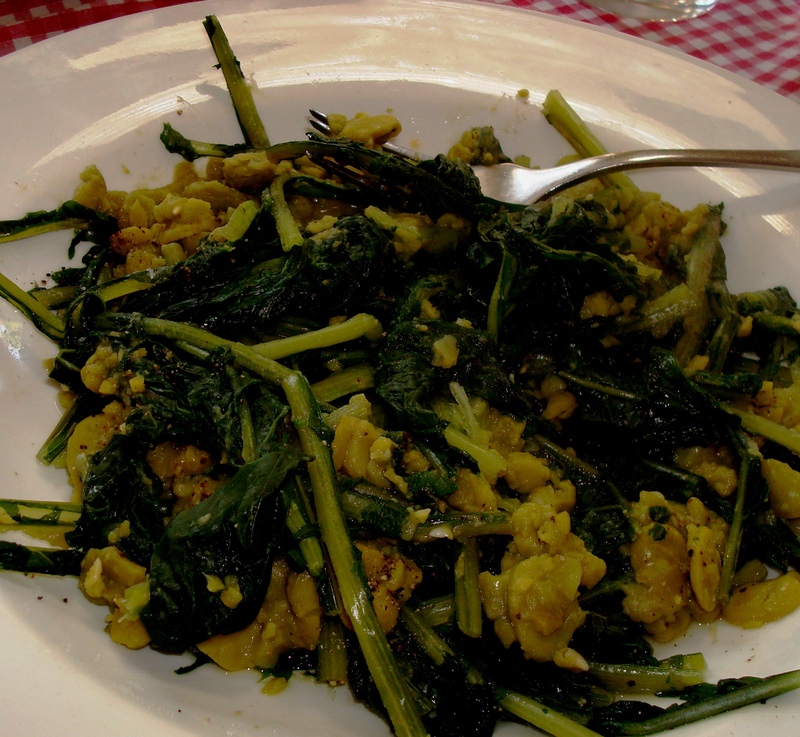 The recipe originated in the old Queen of the Sea, Bari (Puglia), the home town of my dear friend Lino Pansini. I must remember to ask him if his mum ever made it. It is traditionally served in on big plate, placed in the centre of the table, and each person was given a fork. Cook the broadbeans until most of it becomes a puree, about 40 minutes. Add a bit of salt and pepper to the bean puree. Meantime, boil the chicory for about 10 minutes until tender. Do not add salt to the chicory. Fry the garlic in a bit of olive oil until soft, add the chilli and chicory (squeese out as much water as you can first). Cook for about 5 minutes. To serve put the chicory on a serving plate and spoon the hot bean puree over the chicory. This is enough for 4 people as a side and for 2 people if eaten as a main with bread. Use any left over bean puree as a pasta sauce. ENJOY! I have pleanted some braodbeans about six weeks ago, but I think the Dunedin weather has got the better of them – still about 10 cm high. I hope you are going ot have better luck.